Elder Edward Sailor, Founder and Senior Pastor (presiding prelate) of Celebration Christian Center, is a native of Gadsden County, Florida. A second generation minister, he accepted the Lord as his personal Savior in 1978 and joined St. John Church of God in Christ, in Quincy, Florida, under the visionary and influential leadership of the late Bishop Elbert L. Shepherd. His service in the church has been a progressive experience. Over the years, he has served as Choir Member, Sunday School Teacher, Ordained Deacon, Men’s Ministry Chair, Licensed Minister, Ordained Elder, Licensed Pastor and other duties in support of the church. Pastor Edward L. Sailor, Sr. 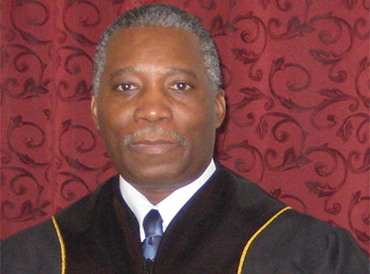 In 2004 he was ordained an Elder in the Church of God in Christ, by Bishop Harvey David Bryan, COGIC Western Jurisdiction; and in 2005, Bishop Bryan appointed him pastor of Power Ministries COGIC in Chattahoochee, where he faithfully worked and led the church for over nine (9) years. Following the Lord’s leading and directives, he began the work of planting a new Pentecostal church in Quincy. In September 2014, he opened the doors of Celebration Christian Center, with members eagerly coming to join. His formal training includes the public schools of Gadsden County, Interstate Training Systems, National Home Inspections, Andersonville Theological Seminary, and many years of local, state and national church trainings, conferences and workshops. Having retired from the public sector, he now serves as full-time Pastor; with the exception of continuing to operate his on-line Traffic School. He is assisted in ministry by his dear and dynamic wife, Dr. Arie Collins Sailor. The two were joined in Holy Matrimony in 1973 in Quincy, Florida. Their marital union was blessed to have five children, four by birth and one by adoption; nine (9) grandchildren and two (2) great-grandchildren.